As I edited the Template HTML, I saved my changes - and the bX error suddenly appeared. Each different bX code refers to a different problem, with Blogger in general. Of the bX codes that refer to template corruption, each different bX code may refer to a different template corruption problem. When a template corruption problem can be reset, the resetting process may involve repeated use of one or more dashboard pages. Different problems may enable - or prevent - use of a different dashboard page. For problems with multiple causes, you may have to use each different wizard, persistently. 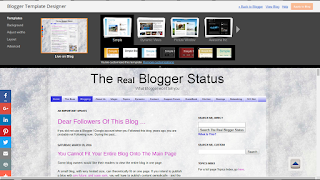 If the blog is not operational, you start again. Unfortunately, some problems may prevent use of all 3 pages. For the problems that permit use of one or more pages, you try each available page, repeatedly, until the blog becomes operational. To access each page, you may need to bypass the dashboard menu. The Template Designer is used for one task - "Remove customizations". "Remove customizations" may be the simplest reset that you may try - when possible. 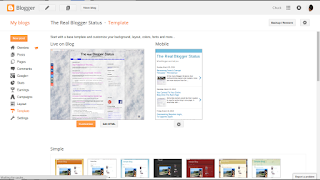 Some customizations, when removed, may enable subsequent use of the Template page, or the Template Editor. The Template main page is used for two tasks. Backup / Restore the existing template. 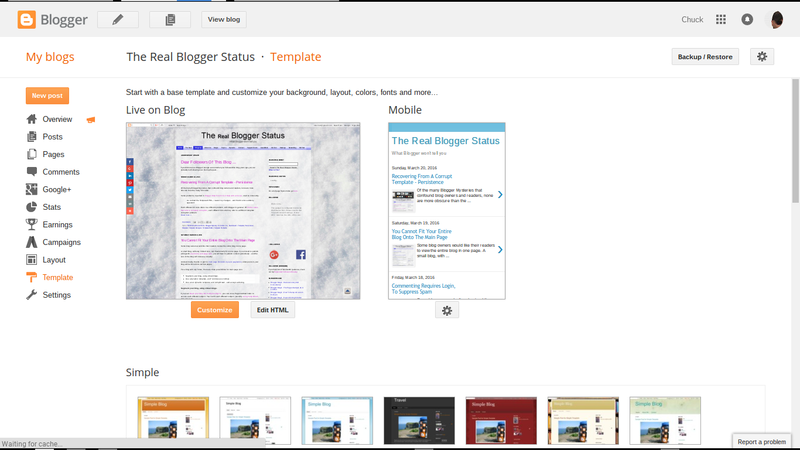 Some problems, when reset using the Template main page, may enable subsequent use of the Template Designer, or the Template Editor. The Template Editor ("Edit HTML") is used for two tasks, as an alternate to the Template main page. Also, it may be used to reset any "rgba" colour combination problems. 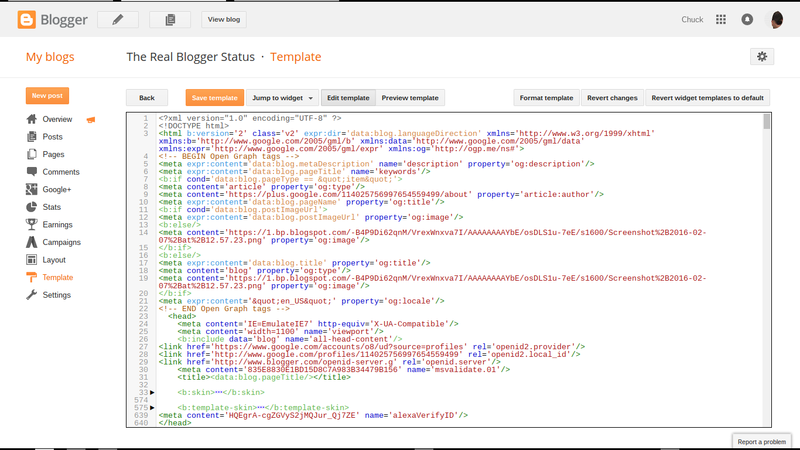 For template corruption problems that prevent use of the Template main page, the Template Editor - combined with a second blog, where a clean template is developed and tested - can be used. The Template Editor (aka "Edit HTML"). Some problems, when reset using the Template Editor, may enable subsequent use of the Template Designer, or the Template main page. If you get a new bX code, you repeat the above sequence. Some problems, with multiple causes, may require repeated retries. 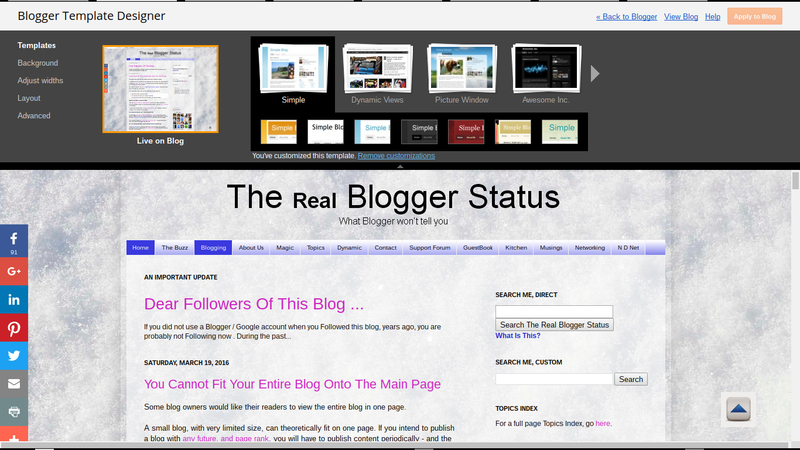 In extreme cases, you may end up creating a new blog at the URL. 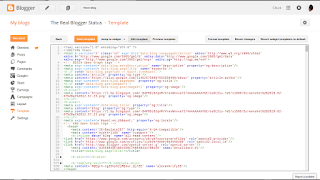 Some #Blogger template problems, which lead to a bX code display, may have multiple causes - and all causes may require solution, to make an affected blog operational. With some causes preventing solution of others, a repetitious use of the various dashboard pages may be required - to solve some template corruption problems.